Many fitness tests are designed for testing athletes or those wishing to improve their fitness. In health screening you may also want to test those who are unfit, overweight or obese. Some tests may not be suitable for these populations and may need to be modified before implementation. 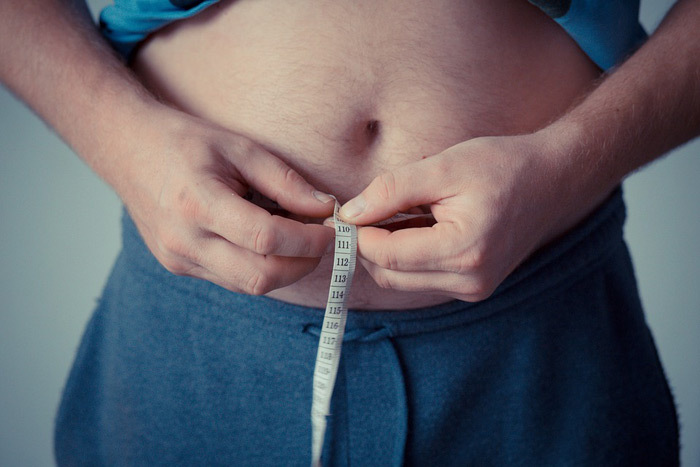 Overweight or obese people are usually not accustomed to doing exercise, and will need more detailed instruction, longer warm ups and cool downs, and closer monitoring to ensure the tests are performed safely. Make sure that a medical clearance has been given — anyone overweight or with a history of high blood pressure and heart disease should consult a physician before undertaking any vigorous testing (see Physical Activity Readiness Questionnaire). When testing, make sure that medical assistance and first aid supplies are close at hand, and adequate resuscitation equipment should be available nearby. Many common fitness tests may not be suitable for testing obese patients. The running distances, times or weight used can be decreased or equipment may need to be modified. A maximal endurance test may not suitable for obese populations due to the health risk of excessive stress on the heart. There are several alternative sub-maximal endurance tests. Rather than a running test, you could use the Rockport Walk test. Another low impact test is the 2-min step in place test. A cycle test, such as the Astrand Cycle Test or the PWC170 test, will take more stress of the legs if walking is not possible or difficult. Although there are no similar tests, you could even make up an assessment such as the time to water walk across the pool. Measuring flexibility in obese patients is more difficult as the fat mass can be the limitation in the range of movement, not the muscle or joint flexibility. Any measurements of flexibility should take this into consideration. Any test which requires jumping (vertical jump), lifting body weight (chin ups, push-ups), complex movements (sit ups) or rapid change in direction (agility tests) would not be suitable for obese or very overweight subjects. To measure leg strength you may wish to perform a 1RM seated leg press, and for upper body strength a wall push-up test or repetition max bench press may be suitable. You may wish to conduct some of the range of health tests available, as it is important to see the improvements in health as that would be the long term goals of most fitness training programs for the obese. Comparing the test results to normative values is important in the interpretation of the assessment. Firstly, you must ensure that the norms used are for same test protocol, which may not be the case if you have modified the test. Although comparing results to others can help in motivate the subject, in most cases the important thing is to see improvement, which can be seen in the test results over time. In that case, the important thing is to ensure that whatever test procedure is used is consistent each time, and the results reliably collected. Records for the extremes of weight.